Pisco can’t be made in California for the same reason a Californian sparkling wine can’t be called champagne: appellation of origin laws, which in this case limit pisco production to Chile and Peru. But Frisco is taking a crack at being the American equivalent. This unoaked brandy is made from Californian muscat grapes and distilled at San Francisco’s Seven Stills Distillery. Frisco Brandy is colorless in the glass, and has strong grape notes plus peach, apricot, and orange peel. It begins at a medium temperature with peach, orange peel, and grapefruit on the palate. The 45% ABV brandy’s heat begins to ratchet up at the palate’s center as a floral note of violet and a tropical pineapple flavor come into play. As the drink continues to heat on the tongue, these flavors give way to a musty, almost metallic grape skin flavor. For as hot and dry as the spirit becomes, it retains a lush and wet texture in the mouth. Dry spice and white pepper surge at the end, setting the course for a clean, bone-dry, and spicy finish. 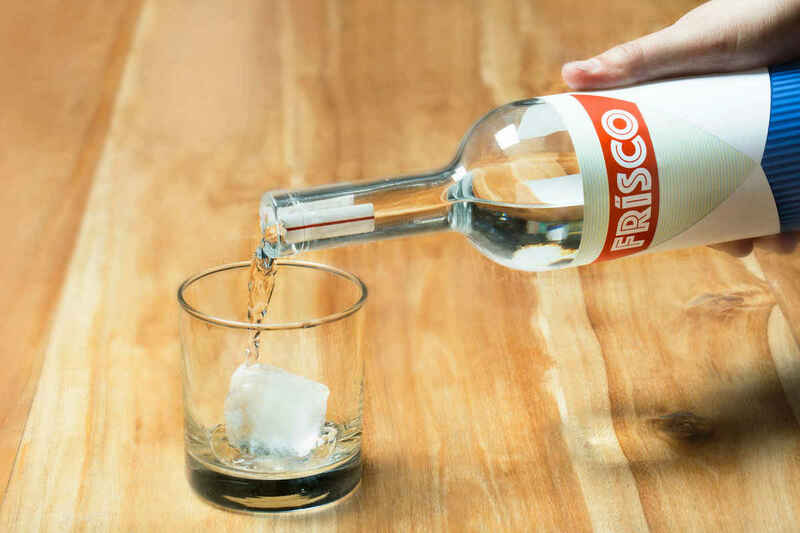 Frisco is an interesting sipping brandy, and it also proves excellent in a Pisco Sour, er, Frisco Sour. The strong grape flavor, floral notes, and even a little hint of that grape mustiness punch right through.